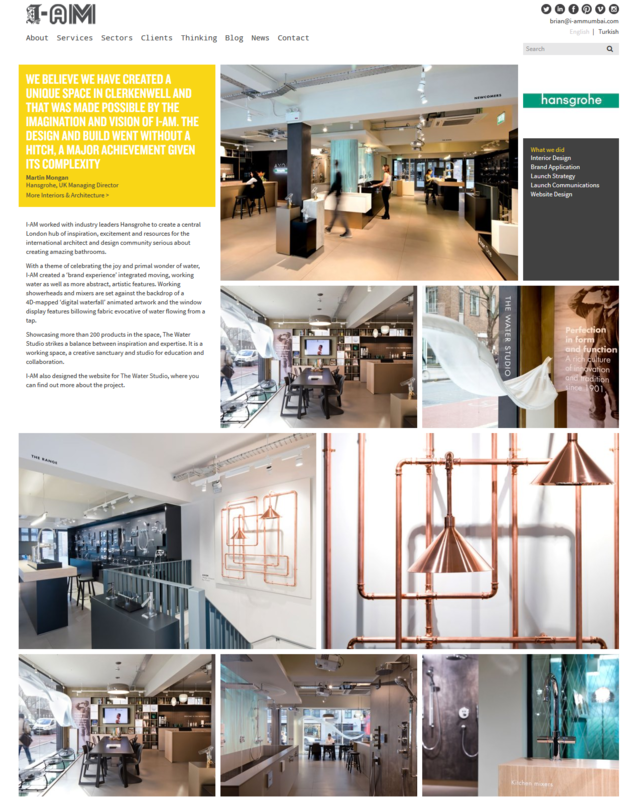 I-AM worked with industry leaders Hansgrohe to create a central London hub of inspiration, excitement and resources for the international architect and design community serious about creating amazing bathrooms. With a theme of celebrating the joy and primal wonder of water, I-AM created a ‘brand experience’ integrated moving, working water as well as more abstract, artistic features. Working showerheads and mixers are set against the backdrop of a 4D-mapped ‘digital waterfall’ animated artwork and the window display features billowing fabric evocative of water flowing from a tap. I-AM also designed the website for The Water Studio, where you can find out more about the project. Offered Website, Interior design, brand experience, brand application, launch strategy & communication.